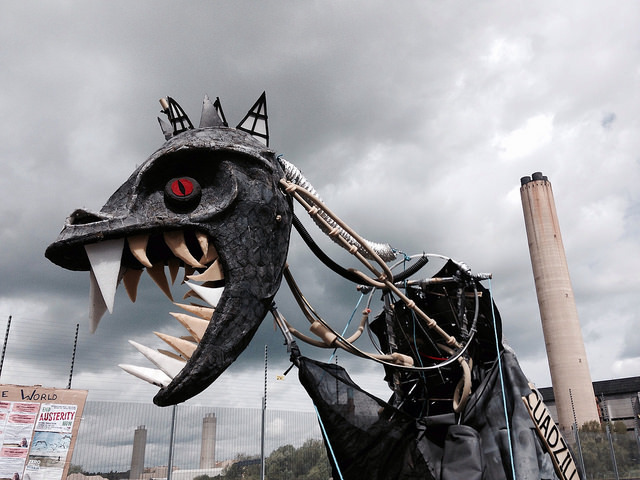 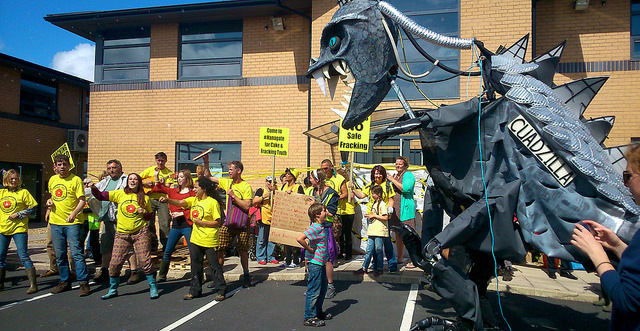 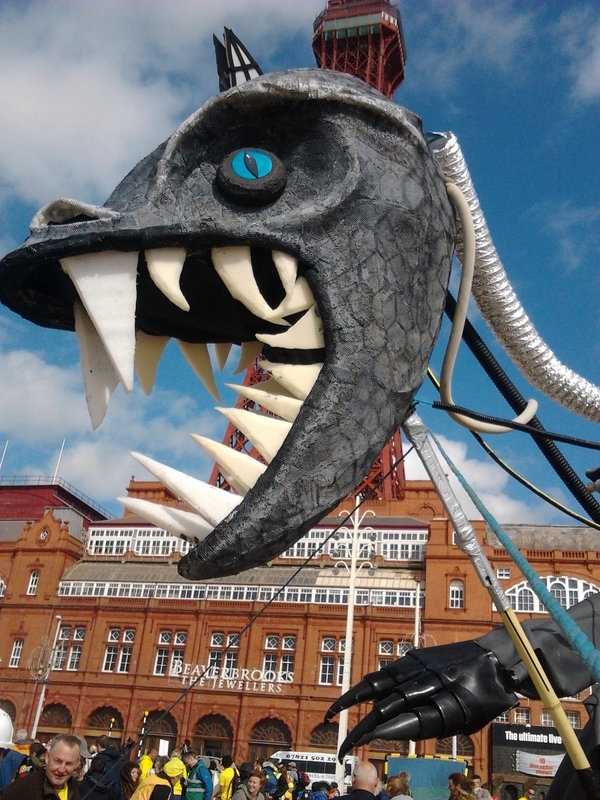 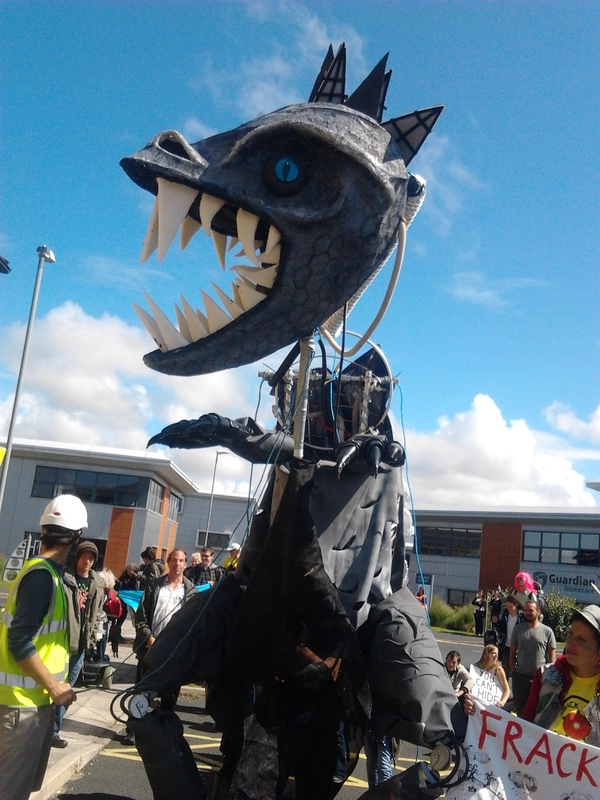 Cuadzilla was made to support anti-fracking campaigns, and made its first appearance in Blackpool, at Reclaim the Power in August 2014. 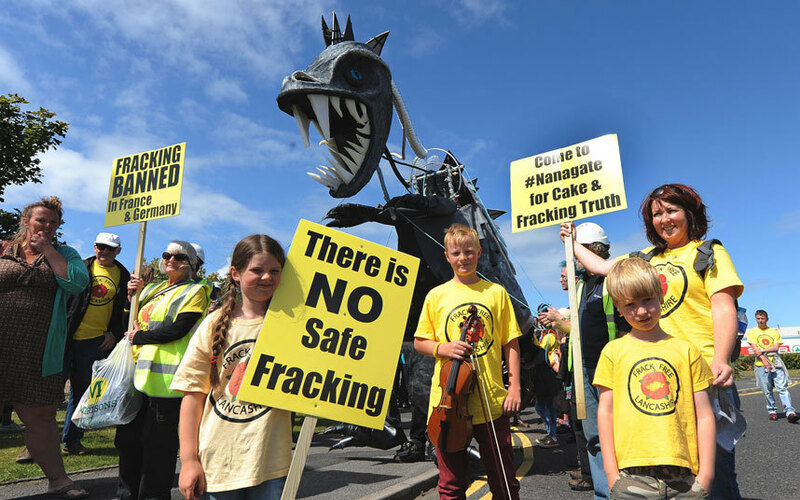 It’s named after the infamous fracking company Cuadrilla, which caused the Blackpool earthquakes in 2011 and is still attempting to frack in Lancashire and elsewhere. 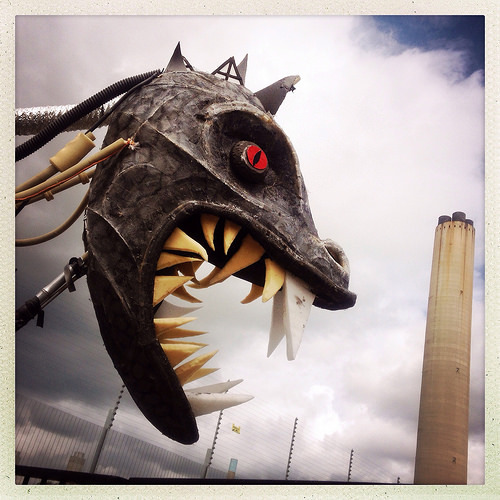 The puppet is a collaboration by Otherstory artists and Frances Howe.